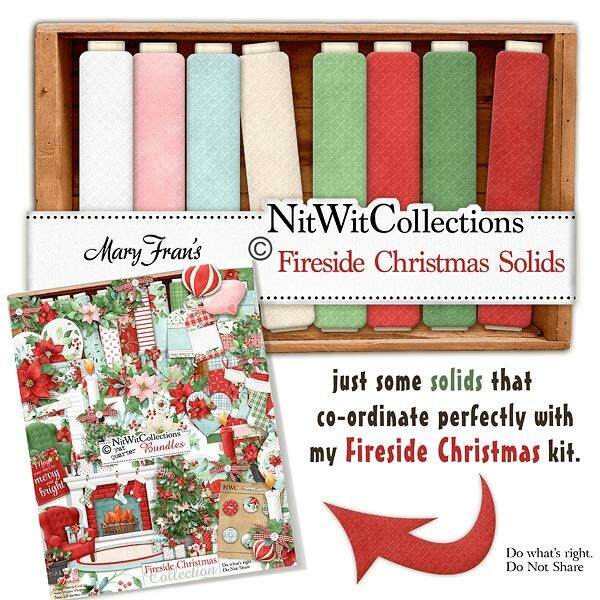 "Fireside Christmas" Solids is kind of like getting the batteries with your new toy! Our Solids Paper Pack are the digital background papers you will need when creating so that you have the colour matched solid digital "cardstock" to create with. These digital papers are NOT included in the FQB "Fireside Christmas" Collection so please don't miss out!